The first part of an enthralling new series leads readers on a fantastic journey filled with quirky characters, clever charms, potions and spells. Ages 9+. The 7th son of the 7th son, aptly named Septimus Heap, is stolen the night he is born by a midwife who pronounces him dead. That same night, the baby's father, Silas Heap, comes across a bundle in the snow containing a n The first part of an enthralling new series leads readers on a fantastic journey filled with quirky characters, clever charms, potions and spells. Ages 9+. To ask other readers questions about Magyk, please sign up. Hi my name is Justin and I was wondering if this is a good book to read? Darkwolfluna173 Yes. As good as Harry Potter. The second series is called The Toddhunter Moon trilogy, in case you were wondering. Is this a kid's book? How old are the characters? Thank you! Darkwolfluna173 This is a kid's book. The characters are 10-14 through the whole series. Leaving aside the cliched plot and all the other things that people have pointed out, there were two things which annoyed me the most about the book and both of which have to do with tone. For one, I felt that the author was writing in the way that some adults speak to younger children - not as young people, but as idiots. I felt it was written more for 6 year old than a 9-12 year old - and can only wonder if I would've been offended while reading this at 12 since the tone, to me, felt so patronizing. Magyk (an archaic spelling of "Magic") is a fantasy novel written by English author Angie Sage. It is the first book in the seven-book Septimus Heap series. The sequel, Flyte was released in March 2006, Physik in March 2007, Queste in 2008, Syren in September 2009, Darke in July 2011, and Fyre in 2013. 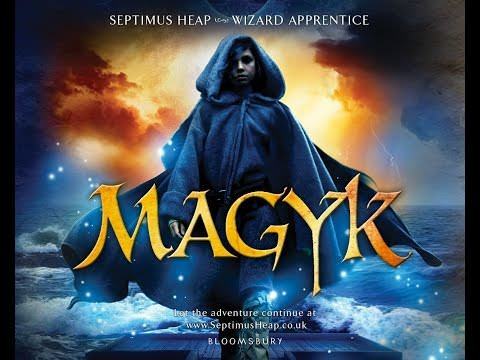 The book cover of Magyk alludes to the diary that the ExtraOrdinary Wizard Marcia makes for her apprentice, Septimus Heap. The cover also depicts Septimus's Dragon Ring, rendered as if it were sitting atop the diary. Magnificent!! Memorizing! Delightful! Bursting with danger and where treachery can be found hiding around every corner! 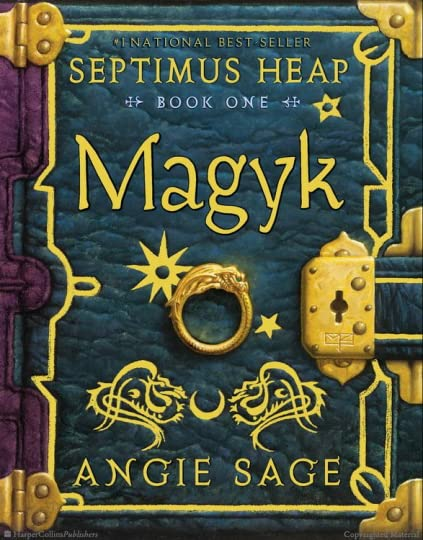 I am completely stunned that Magyk by Angie Sage is her debut??!! Silas Heap pulled his cloak tightly around him against the snow. It had been a long walk through the Forest, and he was chilled to the bone. But in his pockets he had the herbs that Galen, the Physik Woman, had given him for his new baby boy, Septimus, who had been born earlier that day. It was then that Silas sensed something nearby. Something alive, but only just. He was aware of a small human heartbeat somewhere close to him. Silas stopped. As an Ordinary Wizard he was able to sense things, but, as he was not a particularly good Ordinary Wizard, he needed to concentrate hard. He stood still with the snow falling fast around him, already covering his footprints. And then he heard something—a snuffle, a whimper, a small breath? He wasn’t sure, but it was enough. Underneath a bush beside the path was a bundle. Silas picked up the bundle and, to his amazement, found himself gazing into the solemn eyes of a tiny baby. Silas cradled the baby in his arms and wondered how she had come to be lying in the snow on the coldest day of the year. Someone had wrapped her tightly in a heavy woolen blanket, but she was already very cold: her lips were a dusky blue and the snow dusted her eyelashes. As the baby’s dark violet eyes gazed intently at him, Silas had the uncomfortable feeling that she had already seen things in her short life that no baby should see. Thinking of his Sarah at home, warm and safe with Septimus and the boys, Silas decided that they would just have to make room for one more little one. He carefully tucked the baby into his blue Wizard cloak and held her close to him as he ran toward the Castle gate. “Dead!” cried the Matron Midwife. She pushed Silas aside with a powerful shove and ran down the corridor. Inside the room, Sarah Heap screamed. Silas went in with a heavy heart. He saw Sarah surrounded by six white-faced little boys, all too scared to cry. “She’s taken him,” said Sarah hopelessly. “Septimus is dead, and she’s taken him away.” At that moment a warm wetness spread out from the bundle that Silas still had hidden under his cloak. Silas had no words for what he wanted to say, so he just took the bundle out from under his cloak and placed her in Sarah’s arms. Sarah Heap burst into tears. OH MY! THIS AUDIOBOOK is a TREASURE! 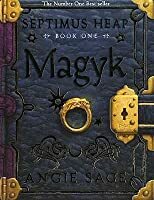 Magyk by Angie Sage and narrated by Allan Corduner had me on tenterhooks as it began with the opening bars of dramatic music, then as the music slowly fades out as the words of the first chapter can be heard. The characters on the good side are delightful, the bad are chillingly evil. And the magical and non-magical creatures are imaginative and creative. The storyline is unique and well thought out and the paste is fast! There's never a dull moment throughout the story making it addictive to listen to and I found myself coming up with any excuse to hole up in a comfy spot with drink and snacks and resume listening to the story! Narrator Allan Corduner's performance was astounding and delightful to listen to! His used a wide range of different tones, voices, sounds, and volumes that enhanced the story ten fold! He was an expert at tranfixing the listener nearly imperceptibly so that when I closed my eyes I was transported into the story, effortlessly feeding images directly to my imagination like a live wire! 🌟🌟Overall Narration Rating 🌟🌟 : Allan Corduner earns an above and beyond 5★ for his performance, topped off with a WOWZA! for dessert! This bedtime story will keep you wide awake late into the wee hours of the next morning!! Magyk is a tremendous accomplishment as a debut novel. You have my full attention, Angie Sage! What is in store for us in the upcoming novels in this series boggles my mind! I'm very sad that Mr. Corduner won't be the narrator for the remaining audiobooks in this series. I'm really hope that narrator Gerard Doyle will be up to the task as I have every intention to listen to the remaining six books in audiobook format! Stay tuned my book loving friends! I read this book many, many moons ago! I loved it then and I love it now. Things from the book came back to me as I read them. Septimus Heap was taken away as a newborn child with the nurse saying he was dead...he was not. He was taken away to turn him into something else. In his place there was left a baby girl that was found by the father, Silas Heap. It's funny this happens right as their baby is taken.... hmmm.. wonder who she is. So the house is full of Heaps and several years later when the secret finally comes out who Jenna really is, she goes on a journey with the ExtraOrdinary Wizard named Marcia, her father Silas, one brother Nicko, Boy 412 (who was a guard to the wizard tower) and the Heap's dog Maxie. They take a precarious trip to their Aunt Zelda in the swamps. It's such a fun book with all of the little magical things like the Shield Bugs, they are so cool and I want a group of them of my own! My favorite was Jenna's pet rock that she named Petroc Trelawney! I want one, actually I have some rocks around here I intend to paint different colors with little faces. I doubt they will come to life it I pet them though :( I love their Boggart friend too. There are just so many things to like about this book. They have to face a bunch of junk trying to keep away from the bad guys that just want to get Jenna back. They find out some things they never knew. They learn spells and mostly have a good time. I have just read and enjoyed ‘Magyk’ by Angie Sage. It is the story of Septimus Heap, a wizard apprentice. I noticed a few similarities to my own Spook’s Series. For example both Tom Ward and Septimus Heap are both seventh sons of seventh sons. Also pointy shoes are mentioned and a boggart features! Of course there are differences too. Angie Sage’s book features wizards who are wielders of magic. In my books the Spook and his apprentice practise a craft and use salt and iron and rowan wood to counter the dark magic of their opponents. It will be interesting to explore this further and I will be doing so on Sunday, 4th October, 10 am at the Bath Festival where Angie and I will be answering questions and comparing books. Poor Angie Sage. How annoying, to write a book about a young wizard right in the midst of Harry Potter mania! Comparisons are unavoidable, and reading this story in the shadow of Rowling's legacy makes it difficult to properly evaluate the characters and plot without drawing mental links between Boggart and Hagrid, DomDaniel and Voldemort, that leave an adult reader feeling dissatisfied with the world of Magyk. It is, however, important to keep in mind that this IS a different book, with differe Poor Angie Sage. How annoying, to write a book about a young wizard right in the midst of Harry Potter mania! Comparisons are unavoidable, and reading this story in the shadow of Rowling's legacy makes it difficult to properly evaluate the characters and plot without drawing mental links between Boggart and Hagrid, DomDaniel and Voldemort, that leave an adult reader feeling dissatisfied with the world of Magyk. It is, however, important to keep in mind that this IS a different book, with different strengths and weaknesses. It is written for a younger audience than HP: many scary parts are played down or narrated from the perspective of an historic event. There's less suspense and many breaks for play and mundane activities that slow the forward momentum enough to let small children relax after a scary chase or a bad turn of events. There are many nods to classic children's fiction, including things that made me groan in pain, such as the Heaps' address at "There and Back Again Row" (Grrraauugggghhh! Tolkien is rolling in his grave). If you like Edith Nesbit or Enid Blyton you'll see a lot of their influence. The first 150 pages were not to my taste. I struggled through them, but found the last half of the book picked up and caught my interest. Sage's strength lies in her love of boating and wet places. Once the focus of the story moves away from the castle and into the marshes, the author relaxes into her own world of old British coastal ways that don't feature strongly in Rowling's franchise - the salty ways of sailors and bogs, mists and mud, bad cooking and swamp creatures. Several technical aspects of the book annoyed me no end. I found the use of a special, bolded font for all Magykal words to be deeply irritating. I did not enjoy the mish-mash of different verb tenses, narrative voices and points of view, particularly the heavy use of flashbacks. I must also complain about the many, many convenient interventions by previously unknown devices that saved the day for our young adventurers. Deus ex Machina is everywhere. Being attacked by a scary wizard in a deadly boat? Not to worry, here's a secret boat you never knew you had! Being hunted by a man who is going to set you on fire? Not to worry, just use the magic anti-death charm someone gave you last week! If Horace had been the editor on hand for the first read-through of this script, it would still be languishing on the bottom of the slush pile. I actually ended up enjoying this book quite a lot! It took me a few more chapters than I would have liked to "get into" the story and the characters, but after a while I found that I did feel invested. I liked the distinct personalities of the characters, and how consistent they seemed to be. It also took a while to understand the magical world. Two parts to this: one, being the good vs. evil statuses and people, how things came about, and what it all meant. I still feel there is more to it all I actually ended up enjoying this book quite a lot! It also took a while to understand the magical world. Two parts to this: one, being the good vs. evil statuses and people, how things came about, and what it all meant. 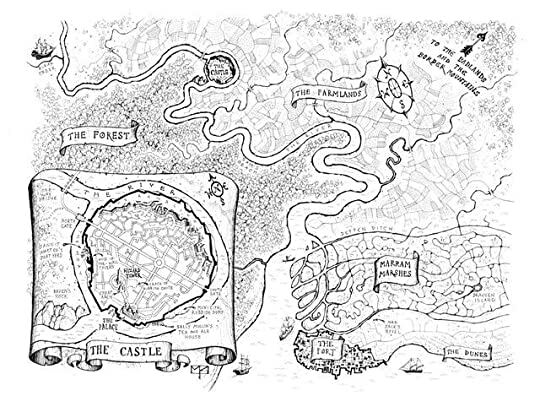 I still feel there is more to it all though, and perhaps these areas will be explored in the later books. Enough came across, however, for the story to unfold as it should have. The second part is how magic works in Septimus Heap's world. I think I got a pretty good understanding by the middle of the book though, so again, it didn't bother me too much. (I still can't decide if the bolding of every magical word was cool or annoying). All in all I thought the book was written pretty well, and the plot flow was good. It's told from multiple perspectives, which makes for a bit jumpy read sometimes, but pretty much the transitions are smooth. The ending was satisfying, and good. Though a few things were left unresolved, I'm assuming it's for the following books. Hopefully. There were some things that very young children, or very sensitive children, might be upset about (mainly relating to cute woodland creatures who... we're not entirely sure what their fates end up being). But overall it's a very "G" read (or maybe PG). There is one part at the end that's pretty unsettling, but the fact it's rectified makes it less so. A few character traits were somewhat irksome, but again, I'm hoping that the author delves into these in the next books (this book did a good job, so I'm trusting that the author will continue in a similar fashion). Some things were predictable, but others surprising. And at the end of the book is an interesting collection of "whatever happened to" certain characters, "instructions" for various charms, etc. This review has been hidden because it contains spoilers. To view it, click here. 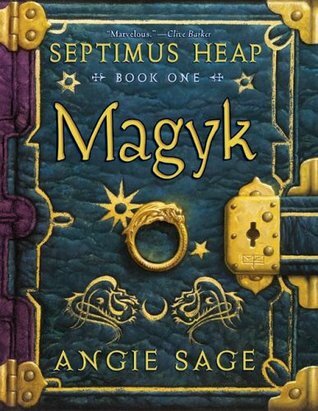 Magyk - book one of the Septimus Heap series by Angie Sage - conjured up a certain expectation in my mind before I started reading it: that of a young wizard in a medieval setting who has to fight against some other evil wizard. That's about as much as the blurb on my edition gives away. So, I'm guessing new readers could be very surprised to find out that baby Septimus Heap 'dies' in the first few pages, and is instantly replaced by an orphaned baby girl that the patriarch of the Heap family, Si Magyk - book one of the Septimus Heap series by Angie Sage - conjured up a certain expectation in my mind before I started reading it: that of a young wizard in a medieval setting who has to fight against some other evil wizard. That's about as much as the blurb on my edition gives away. 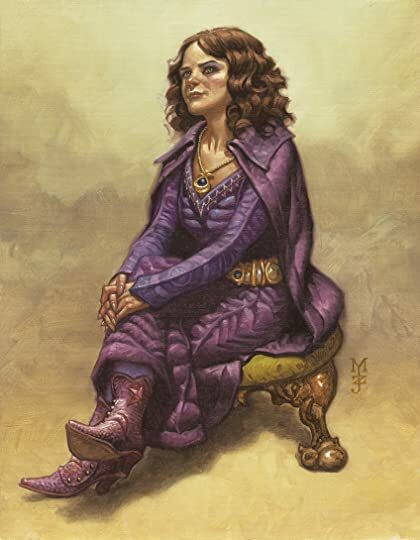 So, I'm guessing new readers could be very surprised to find out that baby Septimus Heap 'dies' in the first few pages, and is instantly replaced by an orphaned baby girl that the patriarch of the Heap family, Silas, found laid out in the snow. In the castle town that the Heap family call home, the Queen has been assassinated, and her newborn daughter has gone missing, leaving a vacuum of power in the castle. This is quickly filled by the Supreme Custodian, who rules in a rather more draconian fashion. Knowing that the princess may still be alive, he sends out regular squads to find her, and only just gets lucky when it turns out that ten year old Jenna Heap is really the missing princess. Fleeing the town late at night with the ExtraOrdinary wizard Marcia and narrowly escaping a hunter, the Heap family (plus one child soldier) go their separate ways to avoid danger. And from then on, this book is a whole load of fun. From a crazy aunt who keeps a cat-turned-duck and is friends with a swamp-dwelling Boggart, to a specialised network of messenger rats, to a dragon boat, and cases of mistaken identity mixed with missing princesses and seventh sons of seventh sons, this book was sheer joy to read. Incredibly imaginative and enjoyable, in fact. So why has it been demoted down one star? Unfortunately, there are parts where the plot becomes kind of static, focusing only on developments with the kids at the house in the marsh. I didn't know anything about what DomDaniel was plotting, Stanley's ordeal in prison, the Supreme Custodian's role in ruling the Castle and its town, Sarah and the other boys running through the forest, and what about that poor woman whose pub was burned down by the Hunter and his gang? Some things are explained in the story, yes, and amusingly enough there's a section at the back of the novel that covers the unseen events of all the aforementioned characters (and some other background characters, like the baby-snatching midwife who's responsible for the mix-up with Septimus), but I would have been much happier if this information had been weaved into the general narrative rather than a tacked-on addendum. Of course one could draw paralells between this book and Harry Potter. Rats to send verbal messages instead of owls etc. but so what? I find the book creative, cute and funny. How can you not like pens that can write in any color--if they are in good mood. Or a pet rock named Petroc Trelawney, which mostly sleeps but you need to feed it and take for a walk daily. Ingenious!! And you can write your magical ideas on anything. Even on "(preferably unbuttered) toast." Even though the point of view is Of course one could draw paralells between this book and Harry Potter. Rats to send verbal messages instead of owls etc. but so what? Even though the point of view is omniscent, I really got to like Jenna and especially the hapless Boy 412. If you've been looking for a series that combines the magic of Harry Potter with the imaginative characters of Artemis Fowl, then Septimus Heap and his first book, MAGYK, is definitely the story for you. A quick, delightful read that can stand on its own, MAGYK is, without a doubt, an intriguing page-turner. Septimus Heap, the seventh son of a seventh son, died shortly after birth. Born to a family of Wizards, there's no telling what he might have become, as his lineage as a seventh son would have made him unbelievably magical. But on that winter night when Septimus died, his father, Silas, found another newborn child in the forest. They named her Jenna, and she grew up thinking that she was the daughter of Silas and Sarah Heap, and the sister of six older brothers--Simon, Sam, Edd, Erik, Nicko, and Jo-Jo. Early on, though, Sarah had her own ideas of who Jenna really was, especially when she heard the news that the Queen had been murdered. Jenna Heap was, undoubtedly, the Princess. Over the next ten years, darkness came to the Castle and the Ramblings, where the Heaps lived. With no Queen, evil came in the form of the Supreme Custodian, who along with his cohorts banned magic and ended the happiness the Queen's people had once known. As the Heap family attempt to ride out this time of darkness, the ExtraOrdinary Wizard, Marcia Overstrand, learns of the plot to kill the Princess, which will allow evil to truly take over the Palace. It seems that the only thing keeping DomDaniel, the Dark Wizard, from returning to the Castle is the presence of the Princess, and he plans to remedy that. What follows is the flight of Jenna, Nicko, the ExtraOrdinary Wizard, and a Young Army recruit known only as Boy 412 to the Marram Marshes, where Aunt Zelda Heap, a White Witch, will be able to keep them from harm. As events unfold and DomDaniel does everything within his power to track down the girl standing between him and a ruling darkness, the Heap family will have to do everything within their means to stop him--and at the same time stay alive. I picked up this books mainly on the aesthetic value the cover had. The other reason I was so keen on reading this book was because its summary talked about the seventh son of the seventh son (I've always like this superstition). Sadly, when I actually got to reading the book, I was incredibly disappointed. First of, absolutely none of the characters are lovable - or eve likable. I didn't get attached with any of the characters because they all seemed extremely annoying (especially that dog, Maxi I picked up this books mainly on the aesthetic value the cover had. The other reason I was so keen on reading this book was because its summary talked about the seventh son of the seventh son (I've always like this superstition). Sadly, when I actually got to reading the book, I was incredibly disappointed. Fifth, the story itself is kind of... meh. It wasn't worth reading 500+ pages for. If you want to get into some serious reading with captivating characters, impressive story line, magical(not magykal)creatures, and grand adventures... this is definitely not the book for you. But if you're looking for a time waster while you're waiting for your next appointment, I guess this book will do the trick. Let's do as Boy 412 and Review some Facts..with my opinion. I was hoping for another Harry Potter kind of mixing real world with 'Magyk'. And talking Rats act as humans, BAD. Really BAD. FACT SIX. Action packed climax: BAD yet; Let's do as Boy 412 and Review some Facts..with my opinion. How the hell is this related? Well... I LOVE middle grade novels, it's sure written for younger generation, much younger than me, yet some of these novels can makes me feel young and thrilled... this one have some bits felt so...IDK, may be children appreciate it more..or just I'm seriously getting too old. Yet, again the sense of humour in the writing style, the rich world and the promising ending sure will make me start book two sooner than I expected. I have been trying to drag myself through this book for the past few days and, if nothing changes, plan to give up within the next 25 pages. Yes, this is a children’s book. No, I am not a child. However, I still believe that books can be timeless (ageless?). I read Roald Dahl again towards the end of last year and still found it hilarious. I’ve also read a few of Dean Lorey’s Nightmare Academy series and found them funny and well-written. While I wouldn’t jump to read every book in the series in I have been trying to drag myself through this book for the past few days and, if nothing changes, plan to give up within the next 25 pages. Yes, this is a children’s book. No, I am not a child. However, I still believe that books can be timeless (ageless?). I read Roald Dahl again towards the end of last year and still found it hilarious. I’ve also read a few of Dean Lorey’s Nightmare Academy series and found them funny and well-written. While I wouldn’t jump to read every book in the series in its correct order, I’d definitely recommend them to parents or pick one up off the shelf for a short, sweet read. Though the writing is a little clichéd at times, and the plot is simple, I can chalk it up to being a kids’ book, enjoy it for what it is, and move on. One thing that bugged me right off the bat was that this book was compared to Harry Potter. I hate that. I always have, and I always will. HP holds a very, very special place in my heart, but I always try to judge books on their own merit, rather than comparing them to others (unless the similarities are really blinding). Comparing this series to HP does it no favors whatsoever. I realize this is the publishing company’s fault and nothing to do with the book or the author herself. I’m just sayin’. Next on the docket: the ‘Magyeicale’ words being bolded. At first I thought this was because I had an online version from the library, so I was willing to let it go, but no more. I’m fairly sure kids would recognize that the spell/act/concept is magical without the misspelling and formatting; they are children, not mentally deficient lemmings. These irritations, however, pale in comparison to Sage’s writing itself, which really does seem to be aimed at a target audience of mentally deficient lemmings. Roughly a page in, we are told how Silas Heap finds a baby in the snow, smuggles her in through the city gates, and is accosted by the new Grand High Poobah, who warns him to raise the child as his own. By this point, even the lemmings might scoff. This book was an interesting and unexpected read, I picked it up yesterday in Waterstones and started it in the car on the way home but then found myself unable to put it down and finished reading it in less than 24 hours. The most interesting thing for me was that this book is very much like a prequel book that the author doesn’t think about until after they’ve written the rest of the series but it was in fact the first book in the series. And Septimus Heap who I suspect will be the main charac This book was an interesting and unexpected read, I picked it up yesterday in Waterstones and started it in the car on the way home but then found myself unable to put it down and finished reading it in less than 24 hours. The most interesting thing for me was that this book is very much like a prequel book that the author doesn’t think about until after they’ve written the rest of the series but it was in fact the first book in the series. And Septimus Heap who I suspect will be the main character in the rest of the series isn’t actually known until the very last chapter. 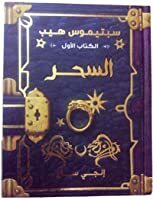 In this book there is no main character as such since it is a book with alternating POV’s but a family and group of friends who all contribute to being both main and secondary characters. So with this in mind the most noteworthy characters to me are (and there are a few); Jenna, Nicko, Boy 412, Marcia, Silas, Sarah and Zelda. Jenna is the child adopted by the Heap family at the start of the book after Silas finds her in the snow and learns of the death of his son; Jenna is raised as one of the family and only learns her true identity later on in the book. Nicko is one of the sons in the family and forgive me for not knowing the order but there are 6 of them; he is adventurous and brazen running head first into battles he cannot possibly know the scope of. Boy 412 is a character adopted by the main group and who doesn’t really fully join them until later on in the book; after being raised in the ‘child army’ he only identifies by his rank and number and doesn’t talk other than to say this. Marci is the ‘Extra-ordinary’ witch of the group; after finishing her training she achieved this rank and tries to hold it over everyone’s head thinking it makes her better than the others. Silas is the father, an ordinary wizard who dropped out of training after the birth of his sons in order to help his wife care for them. Sarah is the mother; she tries to help her children and their father in this book but ultimately struggles as they continually get away from her. The storyline is original and gripping with very likeable characters and a building sense of danger that will most probably be explored in the rest of the series. The pacing was great leading the reader on a gripping adventure all the way through and still holding back a surprise until the very last minute. classic example of choosing a book based on its prominent display location. I saw it was a series, sounded interesting, so I got it. While only begun, it is a fun read so far. and now, the verdict is, in the words of Simpson's everywhere: Meh. mildly entertaining, annoying bold, italic , misspelled wordes . The story is ok, but nothing gripping. I actually left it for weeks with only a few pages at the end. While it wasn't a "bad" book, per se, it isn't one I can recommend at all. if you are a fan, don't read the rest. you've been Warned. too boring, too slow-pace story, too detailed unimportant events (like 7 pages to explain just sliding down through trashes!!???) some NonSenSe descriptions about some new invented animals. & some disgusting things happening there. 2 stars because of first 9 seasons & season 50 at the end. Recommends it for: anybody that can keep track off a lot of characters and who doesn't mind reading a longer book. This book is packed with action and I can not say one bad thing about it. It is one my top 10 list. Septimus Heap, the seventh son of the seventh son, disappears the night he is born, pronounced dead by the midwife. That same night, the baby's father, Sila Heap, comes across and abandoned child in the snow--a newborn girl with violet eyes. The Heaps take her into their home, name her Jenna, and raise her as their own. But whois this mysterious baby girl, andwhat really happened to their belove This book is packed with action and I can not say one bad thing about it. It is one my top 10 list. Septimus Heap, the seventh son of the seventh son, disappears the night he is born, pronounced dead by the midwife. That same night, the baby's father, Sila Heap, comes across and abandoned child in the snow--a newborn girl with violet eyes. The Heaps take her into their home, name her Jenna, and raise her as their own. But whois this mysterious baby girl, andwhat really happened to their beloved son Septimus? Read further into this story to see how the story unfolds. Prvo da napomenem ova knjiga je pisana za relatiovno mladu populaciju, po mojoj proceni do 12 ili 14 godina starosti. Što znači da je jako ... naivna. Sa druge strane odlično je napisana. Drži pažnju, likovi su interesantni što je i dobto pošto je skoro ceo fokus na njima. World building je veoma slab, tek tolko da se dobije neka ideja a čak ni magični sistem nije previše objašnjen iako se jako puno vrti oko njega. Nema dosadnih momenata, nema ekspozicije i svet se drži sopstvenih pravila što je Prvo da napomenem ova knjiga je pisana za relatiovno mladu populaciju, po mojoj proceni do 12 ili 14 godina starosti. Što znači da je jako ... naivna. Sa druge strane odlično je napisana. Drži pažnju, likovi su interesantni što je i dobto pošto je skoro ceo fokus na njima. World building je veoma slab, tek tolko da se dobije neka ideja a čak ni magični sistem nije previše objašnjen iako se jako puno vrti oko njega. Overall, this book was a little disappointing. It was simply alright. It wasn't bad, but I wasn't that into it either. I was certainly right when I said this would be a light read. It was VERY light. The book just seemed a little undeveloped. It was like it COULD have been great, but it just wasn't. It had the potential, but it was just undeveloped and thin. Maybe it's because this book is clearly for a younger audience, maybe I'm reading this way too late, maybe I would've really liked it if I Overall, this book was a little disappointing. It was simply alright. It wasn't bad, but I wasn't that into it either. I was certainly right when I said this would be a light read. It was VERY light. The book just seemed a little undeveloped. It was like it COULD have been great, but it just wasn't. It had the potential, but it was just undeveloped and thin. Maybe it's because this book is clearly for a younger audience, maybe I'm reading this way too late, maybe I would've really liked it if I had've read it when I was younger, but oh well too late now. Besides I have read some books quite recently that have been for younger audiences, and they were better and a lot more engaging than this. I'm not saying this book was terrible, the story was quite good, however the world just seemed very undeveloped and it just felt 'meh' reading it the whole time. Pretty much all of the characters had like no depth. The only characters I found mildly interesting were Boy 412, the Apprentice and Simon towards the end. Even the villain DomDaniel (what kind of name is that?!) was crappy. There wasn't much to the plot and admittedly a fair bit of the story was just cliche. And seriously mostly takes place in like, one place, it was just slightly boring. Magyk had its interesting and unique little parts, and the ending was good I will say that (even though it was incredibly predictable) but overall it just alright. It seemed like the whole time the book was trying so hard, but it just wasn't engaging me. A shame too this series looked pretty cool. The heap of capitalised words annoyed me, seriously words like Caused, Removed, there were so many on EVERY page. It just got annoying. Again maybe I would have liked it better if I had read it when I was younger, but oh well. This book didn't impress. I'm glad I didn't pay for it at least. As I said before, pretty much all the characters were just bland and had no depth. I honestly didn't care for the majority of them. Jenna was alright, but she was just shallow, it just felt there was nothing to her besides her being the lost Princess or Queenling or whatever. I just didn't connect with her. I wanted to like Silas but he turned out to just be boring. Marcia was alright but she was a little annoying sometimes and at times I didn't like her, again she just had no depth. Nicko was alright but again no depth whatsoever. All these characters just felt so undeveloped. Honestly they were just there. Boy 412 was the only character who was good and actually had some depth, but that's probably only because he ends up being the main character of the entire series anyway. DomDaniel was an extremely lame villain, he was not threatening at all and seriously he did pretty much nothing. All the bad guys were stupid in fact, I hate when characters that are supposed to be evil just end up being completely unthreatening and stupid idiots, it's unrealistic and makes for a less enjoyable story. Everyone loves cool and awesome villains who are actually challenging. The Apprentice was an alright character, he's one I wanted to know more about. And Simon seemed like a deeper character, he turned a lot more interesting towards the end. Aunt Zelda, it felt like she was just there because she needed to be. The characters were just boring. Characters mean a lot to me in books, and they just need a lot more development then that. Yet again, maybe it's just because this book is for a younger audience - maybe younger than I thought - but still, I think it could have been better. By the way, Boy 412 being Septimus Heap. Wow such a surprise... (Sarcasm) That was SOOO predictable. If you're trying to make it a surprise at least make it a little less obvious, like not making the Apprentice so poor at magyk or making it so obvious that Boy 412 had awesome magical talent. Seriously I guessed it like a quarter of the way through the book. The story was just cliche. And seriously, the main character of a book should be introduced properly for the majority of the story, this just felt weird to be honest. It feels like the whole book is just setup, and then the actual story begins at the end when you find out who Septimus is. It's weird. Magyk ends really abruptly too. It's like; well what happens? Do they go back? What happens to Jenna does she become the princess or what? I also want to know what happened to DomDaniel's Apprentice. Apparently Aunt Zelda brought him back to life but what happened afterward? Seriously the only interesting characters were Boy 412, or Septimus, the Apprentice (who you find out to be Merrin at the end) and Simon, the oldest Heap son. In fact Simon seems much deeper, he gets very interesting towards the end. In that prologue of the second book, that was real interesting. Seriously the peek you got at the next book was more interesting than most of this book. It looks like Simon is gonna turn evil, I kind of want to see what happens there. Anyway this book wasn't terrible, but it wasn't great. It was just undeveloped and wasn't engaging enough. There wasn't much to the plot, it was uneventful and simple, the characters were mostly boring and had no depth, and the setting just felt undeveloped. And there were a few silly thing in my opinion like Messenger Rats that could speak and all this stuff about ghosts (cough Harry Potter thoughts). The writing style was also fairly plain, I get that this book is for a younger audience, but I've read many books for younger audiences that have been a lot better. Seriously the little peek you got at the next book - the prologue and chapter 1 - was more interesting than most of this book. I definitely won't be continuing this series I think, but I kinda want to pick up book 2 just to see what happens there after that prologue especially. Or I might just look it up. Either way it's a shame, this series looked pretty cool, but this book kinda disappointed. I didn't love it. a) It was a tad on the slow side. b) It gives a really weird introduction to the world, magyk and everything else in general. c) For the most part, nothing happens. a)	It was a tad on the slow side. b)	It gives a really weird introduction to the world, magyk and everything else in general. c)	For the most part, nothing happens. This series is in the “what to read after Harry Potter” lists and is the principal reason why I wanted to read it. While it’s a fun book, it’s certainly nothing like Harry Potter. I felt a little underwhelmed by it all. The world of the book and the magyk in it doesn’t feel very cohesive and well-defined to me yet. The explanations came when it was convenient and only then. The characters arrive at a cottage at a certain point in the story and they remain there for like, the next 60%. I thought the characters were all adorable. The Heaps were a loveable bunch and so were Marcia and Alther and even the Boggart. The villain didn’t feel villainous to me so it was hard for me to take him and the ‘threat’ he posed seriously. What I did feel particularly interested by was Septimus’s role in all of this. I was not expecting him to be how he was. I guessed it after but did not expect it so that was new. I would like the series to mature and darken a little. Overall, I feel it’s an extremely entertaining book but it barely scratches the surface. Magyk wasn't BAD, necessarily, it just really pales in comparison to so many other fantasy stories I've read. My main problem with it was the complete lack of a central main character. 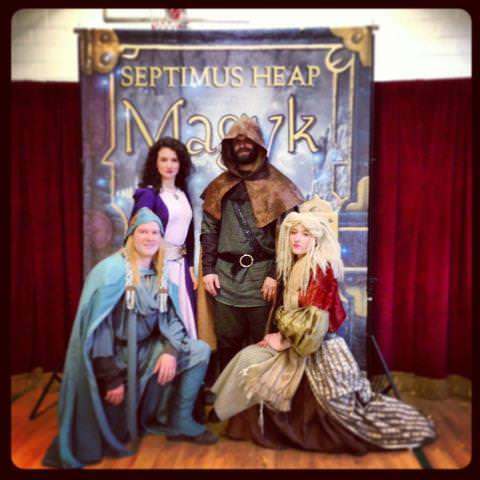 The series title, Septimus Heap, is supposed to be that main character. However, he doesn't, technically, show up until really late in the book. Before that we jump between SO many different characters: Jenna, Silas, Marcia, Nicko, bad guys, good guys, and even boggarts, mice and a wolf. I mean those animal na Magyk wasn't BAD, necessarily, it just really pales in comparison to so many other fantasy stories I've read. My main problem with it was the complete lack of a central main character. The series title, Septimus Heap, is supposed to be that main character. However, he doesn't, technically, show up until really late in the book. Before that we jump between SO many different characters: Jenna, Silas, Marcia, Nicko, bad guys, good guys, and even boggarts, mice and a wolf. I mean those animal narrations are pretty funny, but it felt really unnecessary to me. And not having a central character to direct it all, it just felt way to jumbled. Add the fact that you meet a new character almost every chapter, introducing new viewpoints, personalities and opinions; I just starting not caring. I was never confused, persay, it IS a kid's book. It just felt like the author knew about her serious problem (aka lack of a hero), so she tried to throw in all these "crazy" characters to make up for it. Reading on my nook, I was confused when I would happen across a word like, "Flyte" and it would be capitalized. I then found out in the actual book, those words are also bolded to show emphasis on Magykal spells and whatnot. The capitalization annoyed me, I couldn't even imagine the bolding. It's exactly the same problem I had with Chuck Palahniuk's Tell All. I don't need you to point out something obvious to me, I'm not an idiot. And I don't even see how it helps kids, yeah you can put spells in bold and make them jump out at the reader, but what's the point? If you're reading the book you already know what the spells are, there's no need for it. I guess it just comes down to feeling like I was talked down to at times, and I don't enjoy that at all.